In a medium bowl, combine the soy sauce, vinegar, xylitol, oil, mustard powder, ginger and ground black pepper. 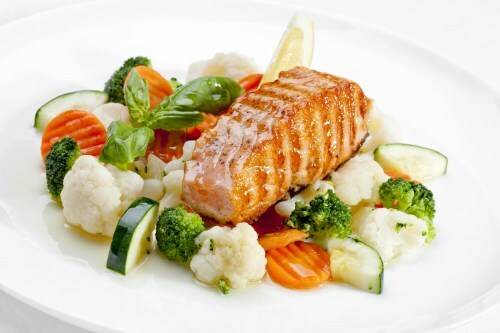 Place the salmon in a shallow, nonporous dish and pour the marinade over the salmon. Cover and marinate in the refrigerator for at least 1 hour, turning occasionally.